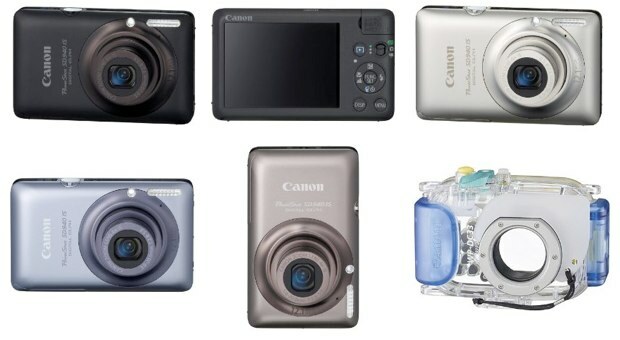 The price of most digital cameras tend to trend downwards over time, and the same price drop should occur in the case of the Canon Powershot SD940 IS, Canon’s slimmest wide-angle compact digital camera ever at the time of its announcement on August 19, 2009. The SD940 IS is known as Canon Digital IXUS 120 IS in Europe. I’m not planning for any scheduled updates, but do check back here from time to time for the latest and best prices on the Canon SD940 IS and related accessories. The Canon SD940IS comes in four colors, black, silver, blue and brown, and the price may vary between them. Canon PowerShot SD940IS 12.1MP Digital Camera with 4x Wide Angle Optical Image Stabilized Zoom and 2.7-inch LCD (Black): $199.00 (no change since the last update). Canon PowerShot SD940IS 12.1MP Digital Camera with 4x Wide Angle Optical Image Stabilized Zoom and 2.7-inch LCD (Silver): $199.00 (no change). Canon PowerShot SD940IS 12.1MP Digital Camera with 4x Wide Angle Optical Image Stabilized Zoom and 2.7-inch LCD (Blue): $199.00 (no change). Canon PowerShot SD940IS 12.1MP Digital Camera with 4x Wide Angle Optical Image Stabilized Zoom and 2.7-inch LCD (Brown): $199.99 ($0.99 price increase). Canon NB-4L Battery Pack — Purchase additional batteries so that your SD940 continues to have a backup power source during extended shooting sessions. For storage, the SD940IS uses SD or SDHC cards. Canon WP-DC33 Underwater Housing — This waterproof case is rated for depths of up to 130 feet (40 meters) in the water. This is a required accessory if you intend to take your Canon SD940 diving or snorkeling for underwater photography, or to other destinations and places with inclement conditions. Mini-HDMI connector — This enables you to directly connect the SD940 to your HDTV or high-definition monitor and view HD movies with no degradation in image or audio quality. Good luck shopping for your Canon SD940 IS! Canon PowerShot SD940IS 12.1MP Digital Camera with 4x Wide Angle Optical Image Stabilized Zoom and 2.7-inch LCD (Black): $249.00. Canon PowerShot SD940IS 12.1MP Digital Camera with 4x Wide Angle Optical Image Stabilized Zoom and 2.7-inch LCD (Silver): $249.00. Canon PowerShot SD940IS 12.1MP Digital Camera with 4x Wide Angle Optical Image Stabilized Zoom and 2.7-inch LCD (Blue): $249.00. Canon PowerShot SD940IS 12.1MP Digital Camera with 4x Wide Angle Optical Image Stabilized Zoom and 2.7-inch LCD (Brown): $249.00.